Environment is defined as the totality of circumstances surrounding an organism or group of organisms. It influences the growth of an individual by its' cultural and social conditions. 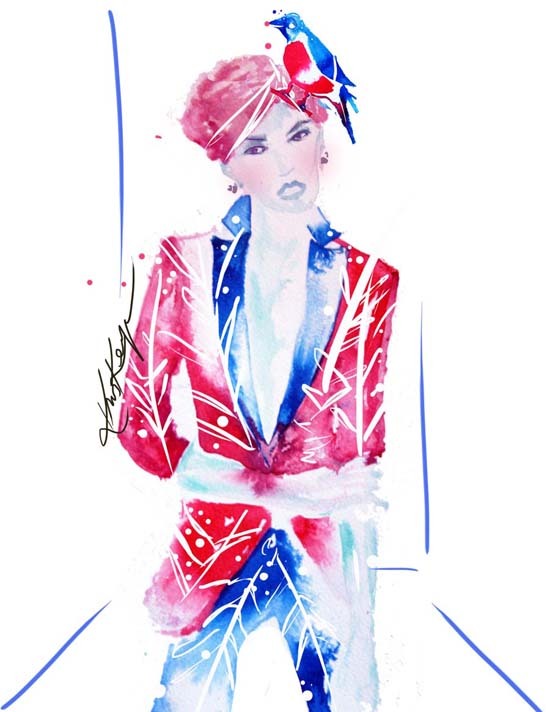 For Fashion Illustrator Kris Keys, her environment has shaped her career and her unquestionable passion for art and fashion. 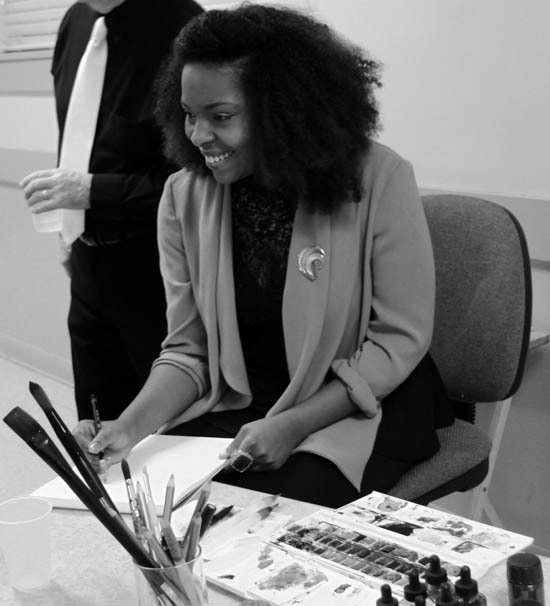 Kris credits her native city, Memphis, TN for her exaggerated yet candid style of drawing. Being surrounded by so many musical influences such as Isaac Hayes, Al Green, Rufus Thomas, The Barkays and that southern gospel music that she heard every Sunday naturally gave Kris a soulful aesthetic to her art. Memphis isn't seen as the most fashionable city, but Kris paid very close attention to the "Sunday Meeting" culture. You know, the women with those enormous hats, the men with elaborate color suits, bling cuff links and a printed blouse. Kris says, "What you see is what you get in Memphis. It's not a pretentious city." Kris unsurprisingly started to sketch the people and activities in her community, which very well captured the culture of Memphis. As a child, Kris was a patient at St. Jude Children's Research Hospital where she was treated for a blood disorder, Hereditary Elliptocytosis. At age 8, she experienced an A Plastic crisis, where her bone marrow stopped making red blood cells. During this time at the hospital, Kris drew everything from her visitors, the nurses and the things that spun from her imagination. After being treated for this illness, Kris discovered a huge archive of sketches and patterns from her aunt's university portfolio. She spent a large amount of time brain picking her aunt and mimicking her sketches. That's when Kris knew that she wanted and she was going to be a fashion designer. Post graduating from High School and College, Kris did an internship and she did what any aspiring fashion artist would do; she moved to New York City. After a few months of trekking through the knee-deep snow from Flatbush, Brooklyn to Manhattan searching for a job, Kris eventually landed a position as a visual merchandiser for a major fashion retailer on Madison Avenue. 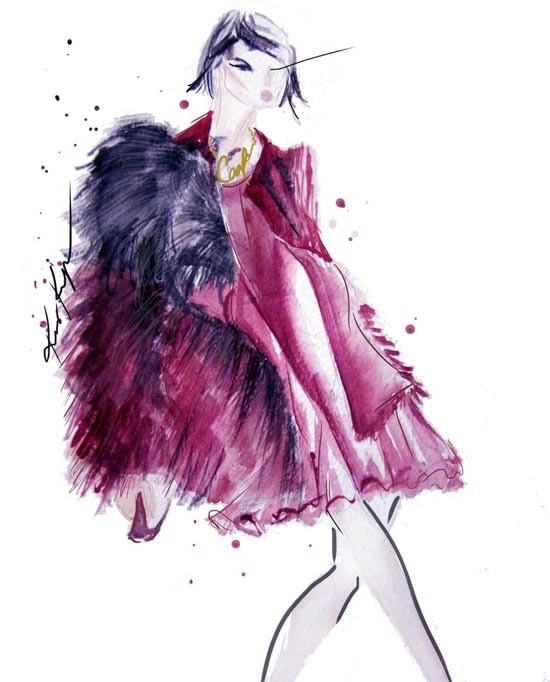 New York's mix of grit and glam gave Kris more of an edge and she began to express her art in the form of fashion illustration. Spending a few years in New York, Kris later moved to engage in a program in London introducing her to the foundations in British design and illustration. Kris now sits along the catwalks of New York and London Fashion Week capturing the environment around her. For Kris it's not only about the garments. It's also about the attendees on the front row, the photographer dashing to the pit right before the show starts, the hair and make up and the long queue of bloggers scramming to get into the show. She prefers to capture all of these elements in her drawings. 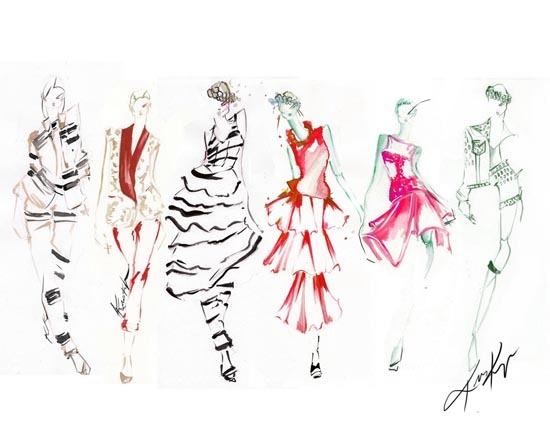 "There's so much power in fashion illustration. One line can tell an entire story." She prefers to always sketch live. "It's just something organic and irreplaceable about capturing garment details or the way the fabric falls on the model in person." Her beautiful watercolor illustrations are a mix of her southern soul, NYC's city girl attitude and the finesse of European women. In her studio, she surrounds herself with photographs of muses such as Hazel Scott, Grace Jones, Sade, Diana Vreeland, Iris Apfel, Frida Kahlo and Josephine Baker to name a few. She's so in touch with her history and she personifies it in her beautiful watercolor illustrations. Kris is now on a journey to attend London College of Fashion for Fashion Design and Development. She knows that now more than ever, she is prepared for this intense course which puts her closer towards her dream of becoming a fashion designer. She credits her different environments for molding her into the women and the artist that she has become. Her advice to anyone who's pursuing a goal is to look at your environment. Is it nurturing or hindering your talents. Is it feeding your creativity or draining it. Kris' different environments were suitable for different stages of her life. Her experience in Memphis prepared her for New York and New York prepared her for London. Kris is now fundraising for her university expenses at London College of Fashion. You can follow and support Kris' journey to London College of Fashion by visiting www.gofundme.com/wwwgofundmecomkriskeys. You can also view more of her gorgeous illustrations at www.bykriskeys.com.